Dr. John Nieto: "Aristotle on God's Substance and Action as Subsisting Goodness"
This episode features Dr. John Nieto. Dr. Nieto earned his PhD in philosophy from Notre Dame University and teaches at Thomas Aquinas College in Santa Paula, CA. In his paper, "Aristotle's Identification of Substance and Action in God as Subsisting Goodness," Dr. Nieto gives a detailed examination of Aristotle's statements about God in Metaphysics Lambda. This talk was given at the Center for Thomistic Studies on January 18, 2019. 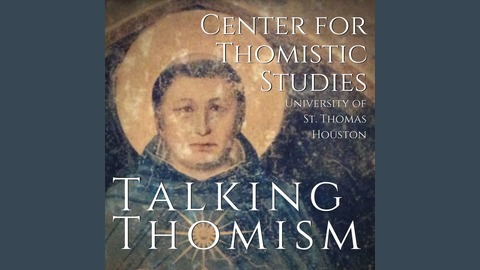 About the Center for Thomistic Studies: The Center for Thomistic Studies, located at the University of St. Thomas in Houston, TX, is the only graduate program in the United States uniquely dedicated to the thought of St. Thomas Aquinas. 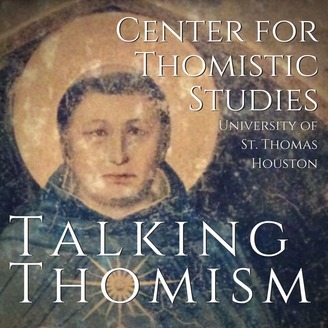 Find out more about the Center at our website: http://stthom.edu/CTS. For news and updates about future events, like our Facebook page: http://facebook.com/thomisticstudies Producer: John H. Boyer Announcer: Peter Gardner Intro and outro music: Clare Jensen, "Cello Suite No. 1: Prelude" by J.S. Bach. Gaston LeNotre: "Can Thomas' Account of Individuation Survive Scotus' Objections?" Dr. Thomas Harmon: "St. Augustine on the Platonic Division between the Few and the Many"